Today’s workplace is evolving at a faster rate than that of the workplaces gone by and the current generation are dictating this change. Students in Kingston University in London recently carried out a study looking at new perspectives on the workplace and how office design is evolving. While this culture within a workplace may be driven by that of the older generation, with a means to integrating and upskilling the entry or intermediate employees, there is an opportunity for all involved to learn and grow. For example, the younger generation will have a better knowledge and understanding of technology, but the older generation will have more experience in the day to day workings of the business. While this is somewhat the norm in most workplaces today, the important thing is to encourage this learning and sharing of knowledge between junior and senior employees and to embrace it in your companies culture. One of the key things that came from the study, was to give a greater choice and more flexibility in the workplace. Millennials are looking to integrate their working life with their personal life and they are looking for flexibility in all aspects of this. This includes the choice of workstation, breakout space, etc and they are looking for a selection in their workstation as opposed to the traditional dedicated space. Focusing on creating the type of workplace where employees can dictate the type of environment that they want to work in is becoming more and more important and companies are evolving to ensure that they can offer a workplace that is flexible. Another area of design that was highlight in the study was biophilic design or the use of natural light and materials. 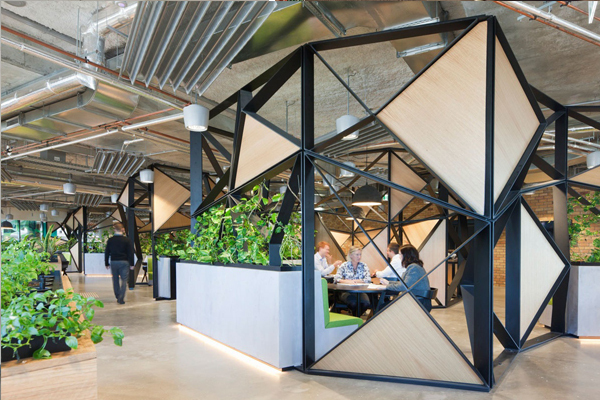 This is a current trend in office design and companies are now more aware of the benefits of integrating opening space, natural light and living things into their working environment. 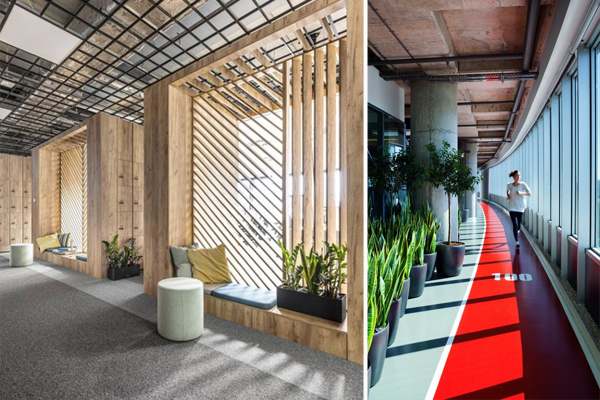 Encorporating these elements into workplaces, allows employees to feel connected with the outdoor space and nature, giving them moments of respite and allowing them to relax and reenergise in today’s busy work environments. Companies are now starting to see the benefit of enhancing employee wellbeing and providing amenities within the workspace, that will encourage wellbeing and activity. Millennials are starting to see fitness classes, bike storage and shower facilities as the norm and these facilities play a huge role in attracting top talent and retaining them. As the battle for talent continues, better amenities are essential and the next generation will expect them. So, the key thing that we took away from Kingston Universities study was that companies need to start focusing on building an environment that integrates their employees lifestyle. 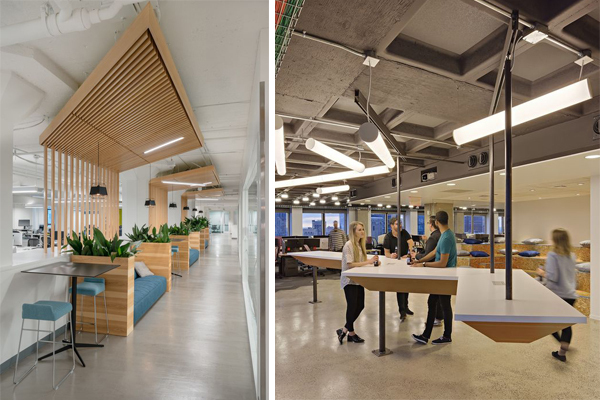 Offering more amenities and flexibility will allow your company to grow and keep up with the rapidly changing expectations of today’s working environment.